I thought at that moment how good that was. It made me feel good to consider that at least some of the young generation had feelings for the environment. 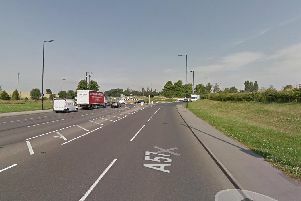 Then, I believe, it was in one of your columns portrayed none other than our MP Caroline Flint – along with some other countryside grabbers – opening another slip road on the M18 to Sheffield to speed traffic up and avoid congestion. More green open space lost. Yet the same MP Caroline Flint congratulated the Doncaster Ramblers on a guided walk around Hatfield Moor on the nature and conservation of the area. Now, lo and behold, the very same person, Caroline Flint, is urging that Heathrow Airport should be linked to Doncaster Airport. It is well known that Doncaster Airport is one of the most expensive. Some travellers take to Newcastle or East Midlands for the cheaper flights. I say to Caroline that I, and I suppose many others, do not want those gas guzzling, pollution spewing giants anywhere near South Yorkshire. Caroline, you and Doncaster’s Ros Jones are ruining our Donny shops and area. Lay off!